 The Mobile Cinema Foundation’s approach comprises a number of key principles that together enhance the positive and transformational impact educational films can have on its audiences. Approval: As much as possible, the film’s protagonists are invited to view the original documentary production prior to the start of a project. Their approval of the content and use of the film in their local context is essential to the integrity and success of a mobile cinema project. Focus: A series of short educational films make up the tool used in a project. Each film is designed and edited from a pedagogical perspective, focusing on a particular sub-aspect of an issue. Focus is needed to assure that the audience debates on all dimensions of an issue. Community perspective: The educational films are often used in the same communities that are featured in a film. In this way, the audience can better relate to the contents of the film and are in a better position to debate issues because they concern them directly. Input: Before defining the exact focus and contents of the educational films, workshops are held with partners in the country where the project will be implemented. This is to ensure that the films are culturally sensitive and touch upon the most important themes surrounding a topic. The workshops also help to generate a sense of ownership of the film series or tool. Debate: After a screening, the films are debated by the audience with the help of an experienced local facilitator or moderator. A moderator’s handbook which highlights key questions for discussion is designed for each project. Training: In many countries film as an educational tool is a new and innovative approach. Local facilitators are therefore trained by the Foundation to ensure that discussions following the film screenings are constructive and effective. Impact: Measuring the impact of the films is important. Each project therefore starts off with pilot screenings to determine whether the revised film requires revisions or adaptations. Specially designed monitoring and evaluation tools help collect information on impact. Partners: The educational film projects are implemented in close collaboration with local or international organisations that have a physical presence in the communities where screenings are organised.